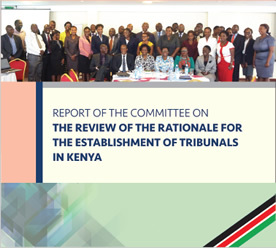 Report on the Review of the Rationale for the establishment of Tribunals in Kenya. 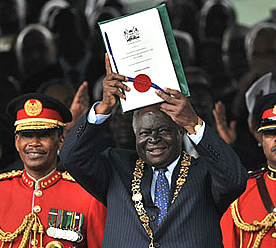 This Report contains the proposed Bill that shall streamline the establishment and management of Tribunals in Kenya. 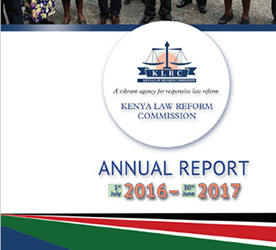 KLRC annually prepares a report capturing the goals, achievements, challenges and recommendations as experienced in the reporting period. 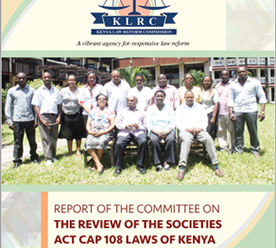 Report on the Draft Associations Bill (2015) as a single legislation encompassing all the aspects and issues arising out of the entire not-for-profit sector.